CHIPMAN, WARD, lawyer, office holder, judge, and politician; b. 10 July 1787 in Saint John, N.B., only child of Ward Chipman* and Elizabeth Hazen; m. 24 March 1817 Elizabeth Wright; there were no children of this marriage; d. 26 Nov. 1851 in Saint John. Unfortunately there were limited opportunities for such young men in early 19th-century New Brunswick. For several decades after 1784 the colony languished and many loyalists drifted back to the United States. Few of the loyalist office holders joined this exodus but for the children of those who remained the prospects were bleak. The élite was small but still larger than the colony could accommodate. Some of these sons of the gentry dirtied their hands and engaged in trade, a few entered the clergy or the military, and a much larger number, including the younger Chipman, were directed toward the legal profession, a career which, in time, might lead to public office. But the critical problem was to earn a livelihood while waiting for the older generation of officials to die off. There were lawyers aplenty in Saint John and too little work to support them all in the style of life to which the children of the gentry aspired. Chipman Sr was acutely aware of the problem, and saw two solutions. The more desirable one was to send his son to London to acquire superior qualifications in law. But the expense of this training was more than he could afford. The alternative was to send Chipman Jr to practise where the competition was less ferocious and advancement less uncertain. Fortunately, two of his former students, Jonathan* and Stephen* Sewell, had established successful practices in Quebec and Montreal respectively and were prepared to assist his son. Yet Chipman Sr was reluctant to lose his only child and he continually found excuses for delaying his departure. Chipman Jr therefore began to study law in his father’s office and in July 1808, on coming of age, he became an attorney. But his father’s practice did not generate enough business to support two lawyers and young Chip began to study French in preparation for his move. 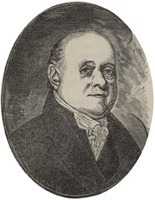 Chipman was saved from a painful separation from his parents by the death in 1808 of two New Brunswick judges, Joshua Upham* and George Duncan Ludlow*. His father succeeded to one of the vacancies in 1809 and Chipman inherited his father’s law practice and replaced him as advocate general and clerk of the crown. By borrowing money, he was able to go to London in 1810 to study in the office of the noted English lawyer George Sowley Holroyd. Chipman was admitted to the society of the Inner Temple on 20 April 1811 and in due course, on 22 Nov. 1822, to the English bar. Returning to Saint John in November 1813, he resumed his practice and became surrogate general. Two years later he was appointed recorder for the city of Saint John, another post previously held by his father. His practice, concerned almost entirely with commercial and real estate transactions, grew steadily and in 1820 he was elected a director of the Bank of New Brunswick. In 1814 Chipman’s grandfather Hazen died, leaving a vast estate which was to be the subject of complicated litigation among the heirs for half a century. As executor of the estate, Chipman was able to purchase at low cost land owned by Hazen in the Portland area of Saint John, which soared in value as the city expanded. After his own death Chipman’s executorship was challenged in the courts. Although the charges were dismissed, no one denied that he had profited handsomely from his speculations in the Hazen estate. By 1817 Chipman felt he was sufficiently prosperous to take a wife and on 24 March he married Elizabeth, daughter of Henry Wright, collector of customs for Saint John. The marriage was childless, but theirs was apparently a close relationship and the connection with Wright, who had considerable patronage at his disposal, expanded Chipman’s influence. Also useful in promoting Chipman’s interests was his appointment to the British commissions established under the Treaty of Ghent of 1814 to locate the northeastern boundary between the United States and British North America. Chipman Sr was selected as the agent to prepare the British case and he persuaded the imperial government to allow his son to act as co-agent. Chipman assisted his father during the successful negotiations in 1816 which resolved the British ownership of a number of islands in Passamaquoddy Bay and the Bay of Fundy. He also assisted in the continued negotiations between 1817 and 1821 over the location of the border between Maine and New Brunswick above the St Croix River. When these negotiations ground to a halt, largely because Chipman Sr had been able to disguise the weakness of the British position, Chipman Jr was sent to London to advise the British government. He continued to act as agent, at a generous salary for what had become by 1821 virtually a sinecure, until the commission was formally terminated in April 1828. Inevitably, Chipman was also drawn into provincial politics. He was elected to the House of Assembly in June 1820, topping the poll in Saint John County. During the sessions of 1821 and 1822 he actively supported the agitation against the policies of Lieutenant Governor George Stracey Smyth*, who had antagonized the loyalist-merchant élite of Saint John by distributing patronage to non-loyalists and by introducing stricter regulations for cutting timber on crown lands. None the less, through his influence at the Colonial Office, Chipman secured the post of solicitor general while in England early in 1823. Smyth died that March and for nearly a year Chipman Sr, who was the most senior councillor both capable and willing to assume responsibility, served as administrator of the colony. With his father’s support Chipman Jr was easily elected speaker of the assembly in January 1824, replacing his uncle, William Botsford*. But, unlike his more gregarious father, Chipman never enjoyed politics and after his father’s death in February 1824 he lost much of his drive. 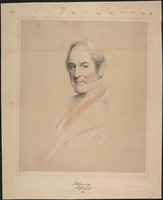 The new lieutenant governor, Sir Howard Douglas*, acknowledged Chipman’s abilities but recommended that he succeed to the vacancy on the bench created by his father’s death so that the speaker’s chair could be filled by the more aggressive Robert Parker*. Chipman took his place on the bench on 17 March 1825. As a judge he also inherited a seat on the Council and he continued to act as an adviser to Douglas and to assist in drafting legislation. 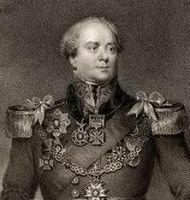 Between November 1828 and July 1830 he was in London to aid in the preparation of the British submission to the king of the Netherlands, who had been chosen to determine the location of the boundary between Maine and New Brunswick. Chipman won high praise from Douglas and from officials in London for his careful and diligent research, and it was partly because of his efforts that the award in 1831 was so favourable to the British claim that the American government refused to accept it. During Chipman’s absence public pressure mounted in New Brunswick for the removal of the judges from the Council but Chipman advised the Colonial Office that their presence was “a most important barrier against popular follies and encroachments.” By 1831, however, it had become clear that the Whigs were prepared to yield to the pressure and so Chipman resigned from the Council. For his work on the boundary question and his loyalty to the Colonial Office, Chipman was amply rewarded. In 1830 he was presented to the king of England and in 1833, as in 1825, he received exorbitant fees for serving as an arbitrator in the negotiations between the two Canadas over the division of customs revenue collected in Lower Canada. On 4 Oct. 1834 he was promoted to the position of chief justice of New Brunswick over the heads of the other puisne judges. As chief justice, Chipman automatically became president of the Legislative Council (which had been separated from the Executive Council in 1833) and he presided over its deliberations from 1835 to 1842. For much of this period the assembly and the council were at loggerheads, particularly during the lieutenant governorship of Sir Archibald Campbell*, who with the council resisted the efforts of the assembly to obtain control of the administration of crown lands and the casual and territorial revenues of the crown. Chipman supported Campbell’s policies but “uniformly” supported the more conciliatory policies of his replacement, Sir John Harvey, who reported that “Chief Justice Chipman did not hesitate in placing himself by my side.” A continuing issue in New Brunswick during the 1830s was the boundary question, which brought the United States and Britain close to war. Chipman wrote extensively on this subject, acted as an adviser to both Campbell and Harvey, and played an important part in convincing the British government of the justice of New Brunswick’s claims. In fact, by upholding what was in reality a dubious legal interpretation of the terms of the Treaty of Paris of 1783, Chipman stiffened the resolve of British officials both in the colony and in London; he thus indirectly helped prepare the way for the compromise reached in the Webster–Ashburton Treaty of 1842, which gave to New Brunswick less than it wanted but probably more than it was entitled to. The New-Brunswick Courier correctly declared that to the two Chipmans the province “may feel much indebted for having sustained so little injury” from the treaty of 1783. 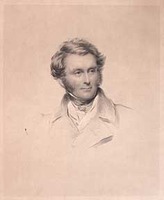 Harvey recommended that, for his diligent labours in both domestic and international affairs, Chipman should, during his visit to London in 1840, become the first native of New Brunswick to be given a knighthood. Unfortunately Chipman had to return to the colony before the distinction could be awarded. Although Chipman loyally served the imperial government and its representatives in the colony, there were limits to his subservience to the executive. When the Colonial Office selected James Carter*, an English lawyer, to succeed to a vacant judgeship in 1834, Chipman vigorously protested against this slight to the New Brunswick bar. In 1842 he again found himself in opposition, this time protesting the municipal incorporation bill sponsored by the lieutenant governor, Sir William MacBean George Colebrooke*, and the latter’s efforts to secure for the executive control over the initiation of money bills. Chipman voted against Colebrooke’s measures in the Legislative Council and declared that it was “impolitic,” when the people were content, “to change the whole frame work of their Civil polity, and open the door to such agitation and political strife as would . . . weaken their attachment to Monarchical Institutions, and pave the way for Institutions altogether elective and Republican.” None the less, when the Colonial Office supported Colebrooke, Chipman resigned from the council on 7 Oct. 1842 rather than continue the struggle. Failing health provided an additional legitimate excuse for his decision to withdraw entirely from political activity. For the next decade he was too ill to go on circuit or to take a significant part in lengthy trials, although he continued to prepare many of the written judgements of the Supreme Court. By 1845 he was ready to resign but the assembly would not grant him, or any of the judges, a pension. Finally he could continue no longer and on 17 Oct. 1850 he retired without a pension. On 26 November of the following year he died, leaving an estate conservatively estimated at £50,000. Chipman was probably of limited significance as a politician, but he did make an important contribution in the settlement of the boundary question and an even more valuable one to the evolution of the colony’s legal and judicial system. “My profession,” he truthfully declared in 1834, “has been the favourite pursuit of my life.” He trained a number of students in his law office, including brothers Robert and Neville* Parker and apparently he trained them well. At a meeting held on 21 Feb. 1825 Chipman was involved in the creation of a law library and the first barristers’ society in the colony, and in the 1830s in the preparation of comparatively strict criteria for admission to the bar. In 1831 he helped formulate a series of provincial acts which, following similar acts already adopted in Britain, greatly mitigated the severity of the criminal code and drastically reduced the number of offences for which the punishment was death. He strongly advocated, and drafted, regulations for the establishment of a provincial penitentiary system. He chaired the special inquiry of 1832 into the administration of justice, which modified the court system, and the first compendium of The acts of the General Assembly of New Brunswick [1783–1836] was prepared by George F. S. Berton under his direction. In the 1840s he assisted Colebrooke in a further revision of the colony’s criminal code. His written judgements formed the basis for future decisions long after his death. Yet there is a less attractive side to Chipman’s achievements. As a lawyer he drew his practice almost exclusively from the colonial élite and as a judge he was primarily concerned with protecting the interests of the property-owning class. When humanity and the protection of property clashed, he sided with the latter. In 1828 he caused a public outcry when he sentenced an 18-year-old youth to death for a relatively trivial offence. Although prepared to introduce the more lenient aspects of the criminal code which had already been adopted in Britain, he insisted that in those cases where the death penalty was still applicable it should be vigorously enforced even when there were mitigating circumstances. Chipman’s approach to other aspects of legal reform was also very cautious. The special inquiry of 1832, over which he presided, consciously presented a more conservative report than its British counterpart; for example, it recommended that arrest and imprisonment for debt should not be abolished in New Brunswick. In these areas he was no more insensitive or less compassionate than the majority of his colleagues on the bench and at the bar, virtually all of whom were drawn from the same social group. But in other respects Chipman was more conservative, prepared to uphold, for example, outmoded laws of libel designed to stifle criticism of the government even when public opinion – and many of his colleagues – no longer believed in their utility. Moreover, Chipman’s reforming zeal was tempered by a strong dose of self-interest and a desire to defend the status of the legal profession. One of his reasons for serving on the 1832 commission was “to defeat a scheme for Summary Proceedings in small actions in the Supreme Court,” which would have substantially reduced the costs of litigation. When he became chief justice he sought to dismiss the clerk of the Supreme Court, George Shore, ostensibly because Shore had no legal training, but in reality so that he could give the post to a relative. He vigorously defended the salaries and fees received by the judges although public opinion, as voiced in the press and in the assembly, was convinced that the judges were overpaid in comparison to other provincial officials. He thus contributed to the unpopularity of what the Saint John Morning News vituperatively described as the colony’s “legal gentry.” Of course, self-interest is not necessarily a vice and Chipman was hardly unique in his pursuit of it. The original loyalists had always assumed that they should be rewarded for their loyalty and Chipman believed it was his duty to live in the grand style of the English country gentleman. None the less, he did acquire a reputation for excessive meanness and there was something distasteful about his relentless search for a style of life so vastly superior to that of the poor wretches with whom he dealt so harshly in court. While still a youth, Chipman was described as a “true son” of his father. Indeed, although he rose to greater heights on the bench, his career followed an almost identical pattern to his father’s and his political and social philosophy was largely shaped by his parents’ teachings. At the age of ten, when asked by his uncle in Salem whether he would consider becoming an American citizen, young Chip replied that “no, no, no, he never will desert, the British cause, or Government.” The conservatism of the scions of the loyalist élite in New Brunswick may have been less rigid, less vehement, and less emotional than that of their Upper Canadian counterparts. More secure in their control over the institutions of the colony, they adjusted more easily to a rapidly changing universe. However, their commitment to what Chipman described in 1833 on the 50th anniversary of the landing of the loyalists as the “principles of their Fathers” was real and abiding. Indeed, over time, and particularly after the War of 1812, the anti-Americanism of the New Brunswick élite hardened and their anglophilia became more pronounced. None the less, the influence of the second-generation loyalist gentry was receding in the face of large-scale non-loyalist immigration and of changes both within New Brunswick society and in the policies of the imperial government. In politics Chipman and his kind fought to preserve the constitutional structure established by their fathers. They lauded the English constitution as “better adapted to secure all the great ends of civil society than any form of Government which the wit of man has yet produced” and condemned “organic changes.” Their ideal was to preserve a constitutional balance in which the powers of the popularly elected assembly would be curtailed by a strong and independent executive authority and an appointed second chamber representing the colony’s élite. But gradually during the 1830s power shifted into the hands of the assembly, where the influence of the gentry, while still important, was in decline. The ultimate irony was that Chipman could do little to oppose this development after the appointment of Harvey without attacking the imperial government whose policies the governor was implementing. Only when Colebrooke sought to revitalize the executive by a series of reforms, which would have further weakened the Legislative Council and established a closer link between the executive and the assembly, did Chipman speak out. He allied himself with the conservative forces in the assembly who wished to preserve the decentralized nature of the New Brunswick constitution and to resist the growing pressure for some form of responsible government. But loyalty again conflicted with principle: Chipman withdrew from a confrontation with the imperial authorities and passively left others to carry on the struggle to preserve the status quo. In religion, too, Chipman was engaged in a kind of holding action. Although the original loyalists had been prepared to extend toleration to dissenters, they had sought to establish the primacy of the Church of England and to give that church control over education. Chipman was not a zealot but he was “warmly attached” to the “doctrine and discipline” of the established church. He regularly attended the parish church in Saint John. Indeed, he owned the land on which it was situated and through his influence with successive governors could control the selection of ministers. Chipman recognized that the Church of England could not indefinitely rely upon public support and he gave generously of his time and, in his will, of his private fortune to assist the church. He left £10,000 to be invested for the support of the “missionary objects” of the Diocesan Church Society of New Brunswick, and gave his own church the land on which the building stood and an annual income for the minister. 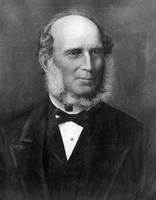 He also bequeathed £5,000 for the establishment of Madras schools in Saint John and Fredericton [see John Baird]. But undoubtedly his greatest concern was to preserve the integrity of King’s College (University of New Brunswick), Fredericton. He served for many years on its governing body and while he supported the efforts of Douglas and Harvey to remove the most restrictive provisions in the charter of the college, he was determined that it would remain firmly under the control of Anglican churchmen. Yet by the time of his death the final assault upon the remaining privileges of the Church of England was already well under way. Perhaps the most discouraging feature to Chipman of New Brunswick society by mid century was the emergence of a class system based upon the possession of capital rather than the ownership of land. However, it would be wrong to draw too stark a dichotomy between the capitalist and landowning groups. Intermarriage was common and in Saint John the two groups blended together to some extent. But wealth per se did not guarantee entry into the social circle in which the Chipmans moved and it did not automatically confirm one’s status as a gentleman, the occupation by which Chipman listed himself in the 1851 census. Significantly, Chipman invested almost all of his money in land; he operated a farm, published articles in the newspapers on agriculture, and publicly deplored the dependence of the colony on the timber trade. Unlike many other second- and third-generation loyalists, he never really adjusted to the economic, and increasingly the new political and social, realities of life in colonial New Brunswick. In later life he became more and more an aloof figure, respected but not loved, fighting to preserve a system of values that was becoming unpopular and irrelevant. In part, this failure to adjust explains his passionate devotion to his profession, for the bench and the bar were the last preserves of the loyalist gentry. And by the 1850s even these were under siege. Chipman had no son to succeed him. But since, to achieve prominence, that son would have had to adjust to a New Brunswick quite different from that envisaged by his father and grandfather, perhaps Chipman would not have been sorry to see his family name disappear with his death. [The bulk of Ward Chipman’s papers were apparently destroyed after his death but the remnants can be found in the Lawrence collection, PAC, MG 23, D1. Also very useful are the references and letters in the Sewell correspondence, PAC, MG 23, GII, 10; the Winslow family papers in UNBL, MG H2, the most important of which were published in the Winslow papers, A.D. 1776–1826, ed. W. O. Raymond (Saint John, N.B., 1901); and the H. T. Hazen coll. : Ward Chipman papers in the N.B. Museum. Letters to or from Chipman may also be found at the PAC in the papers of Sir Howard Douglas (MG 24, A3), E. J. Jarvis (MG 24, B13), Sir John Harvey (MG 24, A17), Sir William M. G. Colebrooke (MG 24, A31), Sir Edmund Walker Head (MG 24, A20), Sir Archibald Campbell (MG 24, A21), and Amos Botsford (MG 23, D4) and in the Saunders papers at UNBL, MG H11. The other major primary source for this study was the New Brunswick correspondence in the PRO, especially CO 188/39: 376–79; 188/41: 284–85; 188/42: 158–61; 188/43: 99–102; 188/45: 84; 188/47: 236–38; 188/49: 242–44; 188/50: 4–8, 11, 205–6; 188/52: 10, 12–17, 19–23, 169–70, 288–90, 291–93, 367–70; 188/56: 371–72, 427–29; 188/59: 261; 188/60: 311–15; 188/66: 70–72; 188/68: 136–41; CO 189/13: 48–49; 189/16: 294–99; CO 323/154: 201–4, 232–35, 253; 323/158: 270–71; 323/172: 193. There are also numerous references to Chipman in the New Brunswick newspapers. The most useful were the New-Brunswick Courier, 2, 9, 23 Feb. 1828; 26 Nov. 1830; 15 Jan. 1831; 14 Jan. 1832; 4 Nov. 1837; 18 Jan., 29 Nov. 1851; and an item in the Saint John Globe, 27 July 1907: 8. Official publications containing information about Chipman include Copy of the report made to his Excellency, the Lieutenant Governor of the province of New-Brunswick by the commissioners appointed to inquire into the judicial institutions of the province (Fredericton, 1833); N.B., Acts, [1786–1836]; House of Assembly, Journal, 1821–24; and Legislative Council, Journal 1831–42. Useful PANB holdings include the probate records for his estate in RG 7, RS71, 1852, and the N.B. Barristers’ Soc. papers, MC 288. There is also valuable material in the N.B. Museum, W. F. Ganong scrapbook no.1: 99. Phillip Buckner, “CHIPMAN, WARD (1757-1851),” in Dictionary of Canadian Biography, vol. 8, University of Toronto/Université Laval, 2003–, accessed April 24, 2019, http://www.biographi.ca/en/bio/chipman_ward_1757_1851_8E.html.